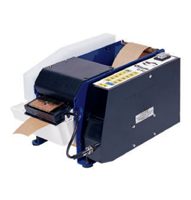 A reliable and economical water activated tape dispensing system for permanent, tamper evident carton sealing. 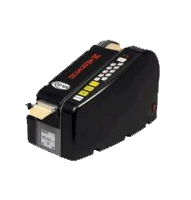 This is a highly durable, hard-working, and easy to use dispenser for your carton sealing requirements. The most effective and efficient machine ever designed and manufactured by Marsh Shipping Supply Company. 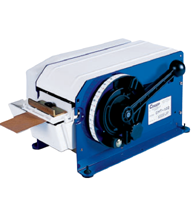 Used to dispense gummed paper tape, the TD2100 has been designed with ease of operation and dependability in mind. Designed for the low volume user; about 35 cartons per day. Sturdy corrosion-resistant body with high quality blades. Cuts lengths up to 43" long. One touch measures, moistens and cuts tape automatically. 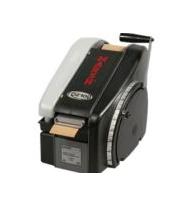 Dispenses 2.5 feet of tape per second. Cuts lengths up to 46" long and switch adds 2" increments. Copyright 2010 Patco Group. Search Engine Optimization by SSD SEO.